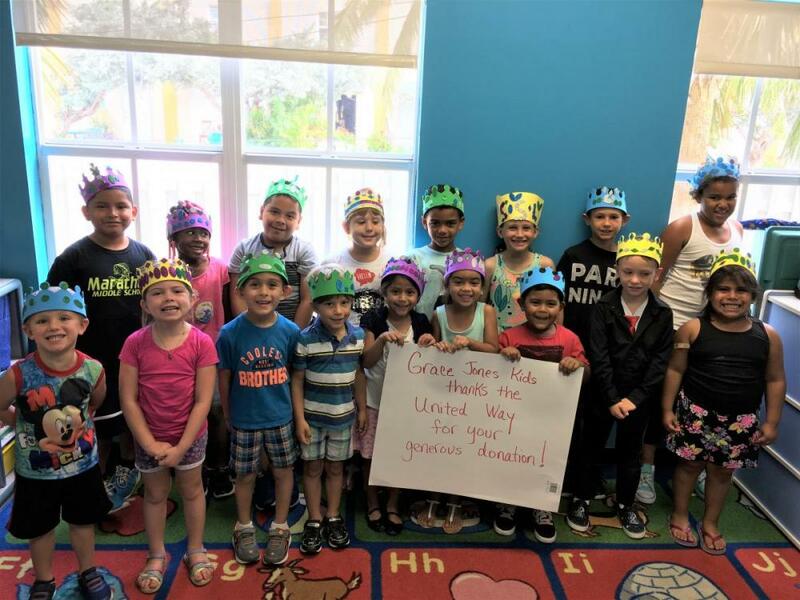 United Way of the Florida Keys leads a community-wide partnership with a diverse set of vetted, volunteer-selected nonprofit agencies in Monroe County, Florida. UWFK supports programs that improve early childhood education and provide access to quality, nutritious food in support of healthy lifestyles. Nonprofit partner agencies supported by UWFK include education programs, food pantries, and transitional living shelters, among others. Through their good work, we seek to enact our mission to be the leader in community caring by mobilizing the power of our community to advance the common good. The Bahama Village Music Program brings free musical education and instruction, to children aged 6 to 16. BVMP is more than just an educational institution, their program creates a great sense of community spirit and pride, fosters important mentor relationships between local teenage musicians and their students, encourages parent participation, and enhances student's self-esteem. At BVMP, UWFK funds the music education program which provides free lessons for local students. The Boys and Girls Club is a safe place for youth grades K-12 to grow and learn. Their mission is to inspire and enable young people, especially those in need, to reach their full potential as productive, caring and responsible citizens. At the Boys and Girls Club, UWFK funds summer scholarships for children of families who wouldn't otherwise be able to afford care. Burton serves many in our community by offering a food pantry and a free weekly community dinner, a child development center, as well as free meeting and training space to community organizations. With a student to teacher ratio maintained well below state required maximums, the development center's program includes supervised study time to perform homework as well as educational programs focus on developing responsibility by involving the child in work and chores with others in a manner that is a positive and rewarding experience. Catholic Charities provides assistance and appropriate referrals to individuals and families in the Monroe County area to prevent homelessness, or rapidly re-house homeless families and individuals. Assistance may include payment of past due rent, mortgage, and/or utility bills/deposits, or move-in costs. Services include financial assistance as well as information and referrals to other agencies. The Domestic Abuse Shelter is a county-wide agency with direct services provisions in all areas, aimed at both lifesaving interventions and prevention through education on the development of healthy relationship skills. The services provided include two emergency shelters, 24 hour crisis hotline, individual supportive counseling & advocacy, assessment of children, information & referral, case management, community education, professional training, primary prevention, court house advocacy, outreach services and safety planning. With clinics in schools in each Keys location, AHEC provides a dental health program, mental health assessments, and no-cost primary care services for Monroe County children. The Florida Keys Children's Shelter provides residential and non-residential programs that have helped and counseled thousands of children and families. They are dedicated to providing the best possible solutions for abused, abandoned or neglected children; and children that have run away, are truants, or are considered ungovernable by their parents. At FKCS, UWFK funds a large portion of food available in the shelter. The Florida Keys Healthy Start Coalition unites people and resources to improve the health and well-being of pregnant women, children, and their families in Monroe County. At Healthy Start, UWFK funds a food program for needy families which also serves to educate mothers about proper nutrition. Florida Keys Outreach Coalition provides homeless outreach and shelter with essential supportive services in Monroe County, Florida. They offer a solution-oriented, multi-stage program based on self-sufficiency, stability, and opportunity. At FKOC, UWFK funds the Loaves and Fish food pantry, feeding those who are homeless or at risk of becoming homeless. UWFK also funds a safety net program through the Upper Keys FKOC office which helps keep working families from homelessness. The Good Health Clinic is a free healthcare access point for low-income, uninsured residents of the Florida Keys. An application based clinic, they focus on providing accessible primary care as well as advance medical care to those in need. Now with two locations, Good Health Clinic provides services to residents in the Middle & Upper Keys. This center has been caring for the children of hard-working families in the Florida Keys since 1957 when Grace Jones, a Bahamian immigrant, recognized the lack of services available for minority families in our then racially segregated society. Recognized with the State of Florida's Gold Seal Committee, Grace Jones operates five days per week, providing nutritious meals and early-learning educational programs for newborns to age six, as well as boys and girls, up to age 14, that attend their after-school and summer break programs. Independence Cay is an agency under the KAIR program that serves the homeless population in Marathon, FL. Every day of the week, they welcome the homeless for a hot lunch, showers, and laundry. It is also open to all during inclement or cold weather. At Independence Cay, UWFK funds the soup kitchen, providing hot meals for those in need. Keys Area Interdenominational Resources is a USDA certified food pantry. KAIR offers "Meals to Go" - pre-made meals for the homeless and transients and bags of groceries are distributed for those who have cooking facilities. At KAIR, UWFK funds the food pantry, providing pre-made meals for the homeless and transients and bags of groceries for those who have cooking facilities. Marathon Lutheran School serves children from infancy to VPK and elementary aged students in an after school setting. The school focuses on providing excellent academic preparation, helping children develop a love for learning. At Marathon Lutheran School, UWFK funds scholarships for their after school program. Marathon Recreation Center provides after school care and academic tutoring to children in the city of Marathon, FL. Although many of the activities are sports based, the goal of the MRC is to offer a safe and structured educational environment for the children of hard-working parents during after-school hours. Programs include supervised homework periods, youth education, dance, drama, art, games, athletic activities and a leadership program. During the summer, a full-day-camp program offers weekly field trips to Jacobs Aquatic Center, where many have learned to swim, and an array of attractions and museums. MCC Key West is renowned for its commitment of service to those in need. Their calling is to feed the hungry, clothe the naked, heal the sick, welcome the marginalized, uplift the oppressed, and visit the imprisoned. MCC Key West offers opportunities for leadership, education, community service, and social activism, as well as fellowship and fun. At MCC, UWFK funds their weekly meal program for homebound seniors. The Monroe Association for ReMARCable Citizens is a non-profit agency that serves adult clients within Monroe County who have developmental disabilities that include mental retardation (I.Q. 69 or below), cerebral palsy, spina bifida, Prader-Willi Syndrome, and traumatic brain injury sustained prior to age 18. At MARC House, UWFK funds a meal program for current clients. Star of the Sea Mission is one of the largest food pantries in all of South Florida. Their services are provided at no cost to clients, distributing up to 1,200,000 pounds of food per year to individuals and families in need. At SOS, UWFK funds the food distribution program, helping to transport goods from other parts of the Keys. The Hammock House offers free afterschool and summer camp programs to all children in the Middle Keys. They transport children from Stanley Switlik elementary school to The Hammock House and middle school children have a bus stop in front of the church. They provide 2 snacks and a nutritious meal, homework help, and a chance for the children to play outside. Wesley House Family Services programs encompass all aspects of the dependency care system including family support and prevention services for families experiencing challenges and discord; full case management services when there is risk of harm to a child; foster and adoptive family recruitment, training and support services, and the Healthy Families-Monroe program promoting positive parent-child relationships for expectant and new families. At Wesley House, UWFK funds the Inez Martin preschool backpack program, providing weekend meals for students and their siblings. The 2018-19 grant recipients were selected based on a scoring model calculated from feedback submitted by 10 United Way Board members and 25 community volunteers who reviewed applications and visited agencies in each region of the Keys.